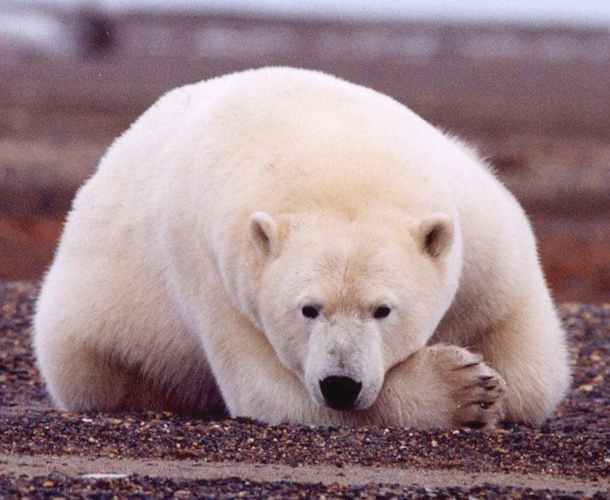 Polar bears populate the annual arctic sea ice in northern Canada, Greenland, Norway, and Russia. Between late April and mid-July, polar bears hunt ringed and bearded seals on the sea ice. With adult males weighing up to 1,430 pounds and growing as much as nine feet in length, they are the world’s largest terrestrial carnivores. As a result of climate change, sea ice is melting earlier and forming later each year, leaving polar bears less time to hunt. As their ice habitat shrinks, skinnier and hungrier bears face a grave challenge to their survival.